Equipped with a dual or quad-core Bay Trail Atom E3825 or E3845 – the first genuine single chip Atom with unparalled low-power performance – the ECD700 is a Windows 7/8/10-ready tiny, fanless system with huge processing power, capable of playing multiple video streams and driving multiple graphical and touch screen displays. 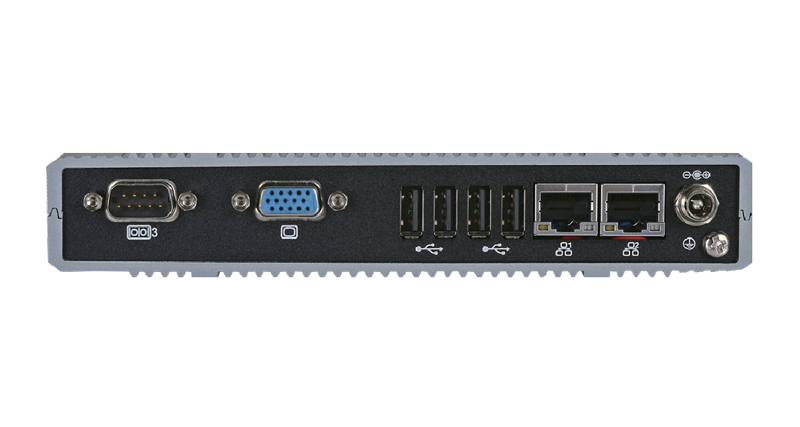 The ECD700 is perfect for a broad range of embedded and industrial applications. As well as an extensive choice of storage options, including on-board 2GB or 4GB RAM, the ECD700 provides 4x COM ports, one of which may be repurposed as 8 bits of GPIO. 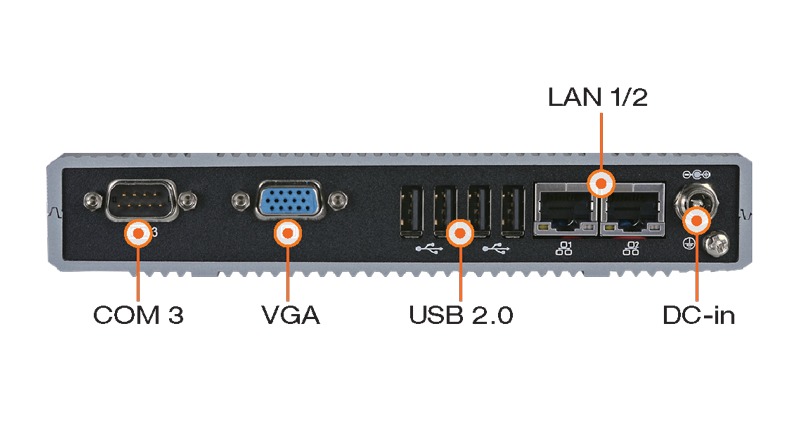 There are 3 internal miniPCIe slots, which can be used for mSATA SSD, modem and wifi (antenna locations are provided), as well as a 2.5″ drive bay. VESA and wall mounting kits are available, and the ECD700 is rated to -20C making it suitable for outdoor applications. 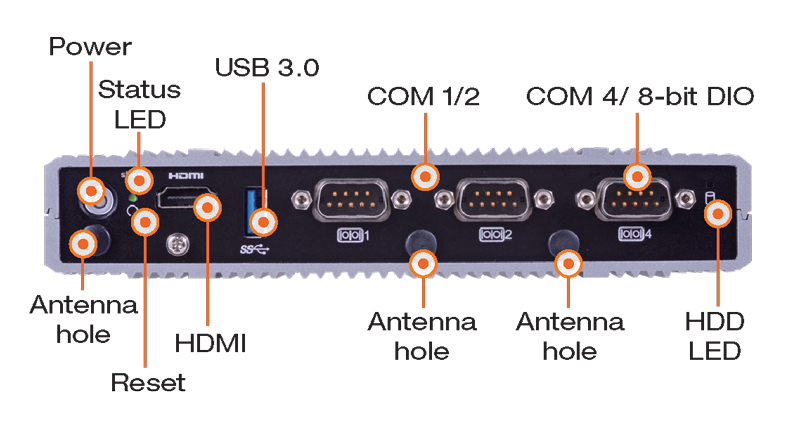 HDMI/DVI-I/VGA 2 1x HDMI, 1x VGA. DVI-I* optional. 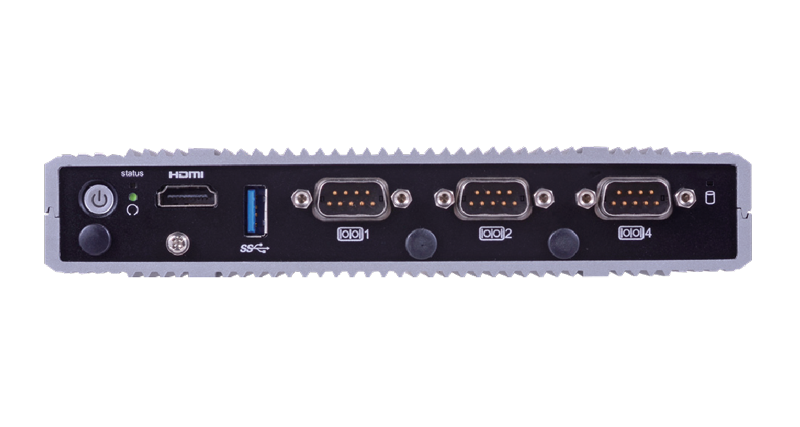 The ECD700 is a small, rugged unit with soldered down internal RAM, usually used with internal mSATA SSD, or alternatively 2.5″ SATA SSD or HDD. The unit can be ordered with WiFi and/or 3G/4G modem installed, and is perfect for IoT gateway applications. It is popular for a wide range of industrial and embedded applications, whether running Linux or Windows. Our experts can help you get the most out of these operating systems, including Windows Embedded Standard, which requires special licensing and image creation, which we can provide in-house. The low power consumption lends itself to space-limited environments, and so this unit is also ideal for high-end signage and point-of-service applications, including dual-screen. There are also additional alternatives using J1900 or N2807 processors, as well as a build which offers 4 rather than 2 Ethernet ports. Please call or email for an immediate quotation – or use the “Get Quote” link to the right of the page.